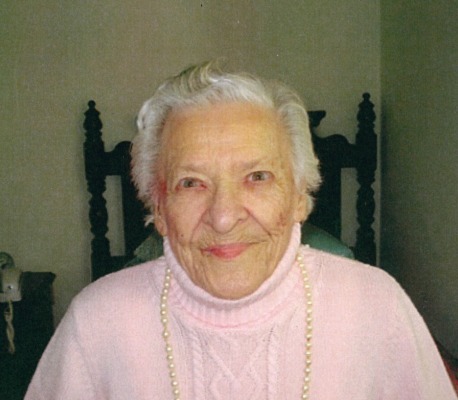 Catherine E. Harnish, 90, of Lancaster, passed away on November 27, 2017 at Brethren Village. She was the loving wife of the late Parke B. Harnish. Born in Lancaster, PA., she was the daughter of the late Donald and Marie (Herr) Mahler. In her spare time, she enjoyed participating in the senior citizens activities and Rodney Park, she was an avid bowler, and enjoyed spending time with her family. She is survived by a daughter, Susan C. Zercher (wife of Richard) of Lancaster; 3 grandchildren and 4 great-grandchildren. Also surviving is a brother, James E. Mahler (husband of Mary Ann) of Lancaster. In addition to her husband, she was preceded in death by a son Parke B. Harnish, Jr.; by brothers, George and Robert Mahler and by a sister, Caroline Weaver. Sue, I’m so very sorry for the loss of your mom. Proverbs 3:5 Trust in the Lord with all your heart and lean not on your own understanding; in all your ways submit to him, and he will make your paths straight. 2 Timothy 4:7 I have fought the good fight, I have kept the faith. Dear Susan, there is not day goes by that I don’t think of your mother but I know she has been called home to be with you Dad. I grew up with Catherine. My best friend Sue and I would eat tomato sandwiches and watch soaps, daily in the summer. I remember Salem cigarettes , coffee , fishing in Perryville. Hopeing I was asked to go along. I loved her.